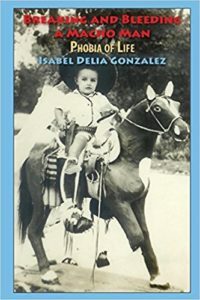 Author Isabel Delia Gonzalez had a business career with a Fortune 500 company spanning over twenty-years. During this tenure her hallmark was the ability to frame critical issues into messages that resonate with and move audiences to action. The importance of corporate citizenship Gonzalez involved in non-profit Board service, concentrating on the global community in building bridges between diverse cultures is vital to bring peace, love and harmony to the world. Her experiences in International business provided access to international business executives and consulates from the global community, including but not limited in coordinating high profile events with China, Germany, Spain, Mexico, Brazil, and Venezuela. 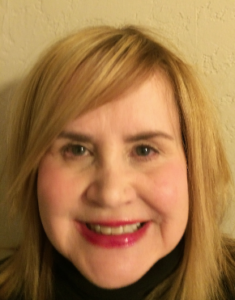 Her knowledge in marketing, publication relations and diverse technology applications provided success in building relationships between the corporation and non-USA Governments. As advocated over thirty-year period for second-language requirement for all students beginning in primary to university level in the United States of America. In addition to embrace students who have a native language other than English to retain the native language and learn English to facilitate full participation not only in the United States of America but globally. Gonzalez formed Scribbler Company to advocate on behalf of those labeled mentally ill. Because of the lack of empathy and indifference the three largest mental health providers in the United States of America; Cook County in Illinois, Los Angeles County and Rikers Island in New York. This indifference has developed the need to understand not only this is a global human rights issues but also a civil rights issue. Gonzalez is an Empowering Speaker on the important topics of Mental Health, Women Studies, and Children Education.